ANWAR el-Sadat, former Egyptian leader, was a staunch ally of the United States in the search for peace in the Middle East. This alliance with America made him very unpopular at home, especially with radical elements. He was assassinated in spectacular fashion by fundamentalist army officers on October 6, 1981. The assassination of Sadat jolted the Establishment in Washington DC, who saw it as a moral obligation on their part to honour his memory by attending the funeral in Cairo. For security reasons, America’s then sitting President, Ronald Reagan, could not attend Sadat’s funeral. He, however, summoned the then three surviving former presidents – Richard Nixon, Gerald Ford and Jimmy Carter – to represent America and its people at the funeral. It was an historic convergence of former presidents, albeit of different political persuasions, at the White House on October 8, 1981 and the journey to the Middle East was not at the best of times. I was so moved by what I saw on television – “the trinity of former presidents” – prompting me to write an article in which I praised the “unanimity of purpose” of Americans when it comes to the defence or projection of their national interest. I compared Reagan’s invitation of three former presidents to the execution for corruption of three former Ghanaian leaders – Acheampong, Akuffo, and Afrifa – by Flt Lieutenant Jerry Rawlings in 1979. When it comes to the matter of national interest, there are not many nations of the world that are more united and purposeful than America. Americans believe in their democratic heritage and assumption of pre-eminence in world politics. Even when an individual they might not have supported in an election was being sworn in as President, one could see how easily the political leadership closes ranks and celebrates “Inauguration Day” together. It is very rare for a former president to criticise a sitting president of the United States in public. Veiled references could be made here and there, but there is something akin to a convention that the nation’s Head of Government and Head of State must be accorded the dignity deserving of his or her office. 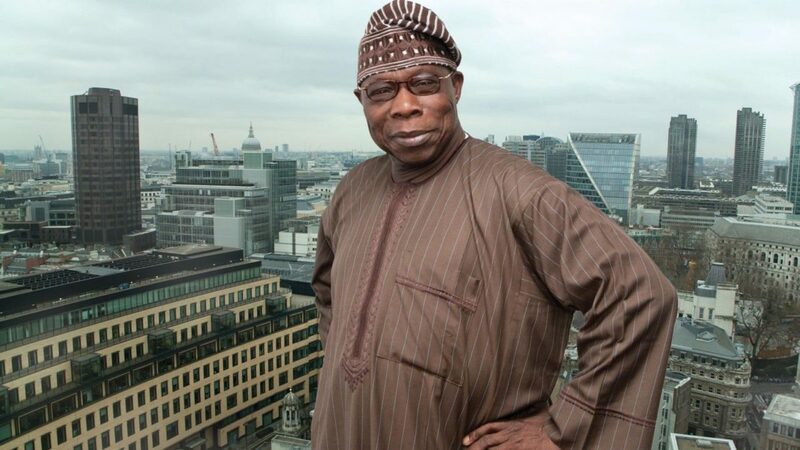 Our former president Olusegun Obasanjo’s periodic letter “chastising” sitting presidents, letters he had become accustomed to, would be regarded as something of an aberration in the context of America’s political ethos. Of course, Obasanjo always spoke what honest Nigerians would consider to be “home truths” in his many epistles. The last letter to President Buhari was spot on. However, if Obasanjo was not up to something, he could have sought an audience with Buhari for a private lecture on governance in a multi-ethnic and multi-religious society that Nigeria is. The fact that Obasanjo’s letter was not limited to the state of the nation, but was an opportunity to make a clarion call for a Coalition for Nigeria Movement that could eventually challenge established political parties for power, suggests he might have had a preconceived personal agenda of some sort. Obasanjo’s coalition movement has been launched, with some corrupt and discredited politicians in conspicuous attendance. There was hardly any doubt that the coalition movement would register membership in a nation where many are more interested in profiting from politics than doing good for society and posterity. One would have been mightily impressed and supportive if what our former president was advocating was a watch dog group for democracy and good government. One effective watch dog group worth understudying is Common Cause, established by an American politician in 1970 that now has chapters in 35 states of the American federation. Membership is by subscription. With more than twelve months to the 2019 Nigerian presidential election, the ball is in the court of Buhari and his All Progressives Congress (APC). If the issues highlighted by Obasanjo were taken in good faith, Buhari could be reaping some blessings. The stigma of sectionalism has been the major contradiction in Buhari’s otherwise acknowledged patriotism. If he can honestly reflect upon that, the power of incumbency suggests he has time on his side to bring smiles to many faces and redirect the course of public opinion in his favour. Those who have chosen to be his adversaries may never be impressed by anything he does and would wish he failed, but the majority of Nigerians are fair-minded individuals who wish for a better society for themselves and generations yet unborn. Obasanjo is generally assumed to be fiercely patriotic but there is something about him that should be of intense interest to psychologists. His critics say he rubbishes every neighbour of his that stands tall in history, Obafemi Awolowo and Moshood Abiola for instance. They say he ends up disagreeing with everyone he had once supported, Goodluck Jonathan and Muhammadu Buhari for instance. They also say that the political party PDP that made him elected president in two elections would rather be rubbished than reformed by him. Not many would want to be part of his “collusion” for Nigeria Movement, lest the outcome is the very opposite of what was projected!!! Akinola is the author of Party Coalitions in Nigeria.